CHELSEA space: #8 Ready, Steady, Go! Ready, Steady, Go! is the first exhibition to explore the style, fashion, people and events associated with Italian scooters and their impact on British culture over the last 60 years. Motor scooters have existed, in some shape or form, since the beginning of the 20th Century, but the manufacture in Italy of two new scooters, the Vespa and Lambretta in 1946 and 1947, eclipsed all previous models and fixed the design concept of the contemporary scooter. 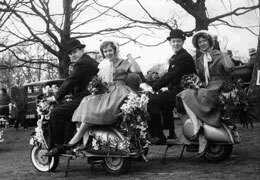 In the aftermath of the Second World War, the scooter changed Italian lives and soon became an integral part of British life and social fabric too: an affordable symbol of freedom and independence in an emerging post war consumer society. This exhibition explores the scooter's established position as a design icon and a symbol of style and image. At the heart of this is British youth subcultures' love affair with the scooter and in particular its adoption by 1960s Mods. 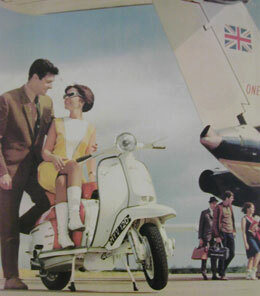 Since then scooters have regularly been at the forefront of British style waves and ridden by different generations of scooterists from Skinheads to Scooter boys; Mod revivalists to contemporary commuters. Ready, Steady, Go! presents key moments, and memories in the life of the scooter in Britain, and attempts to reflect the passion of the enthusiasm it creates in its fans. 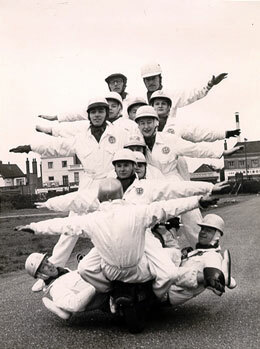 The exhibition includes images and drawings of early models; Innocenti and Piaggio advertising posters and original films, including those of scooter stunts and gymkhanas (events that drew thousands of spectators), and introduces some key personalities in scooter history such as the famous scooter workshop owner of the 1960's, Eddie Grimstead. Ready, Steady, Go! charts the explosion of the scooter onto the youth scene of the early 1960s, and its new identity in Britain; scooterists' taste in music and fashion, including photographs of scooterists past and present; examples of scooter clothing and accessories; a rare classic 1950's Vespa and an insight into scooter designs for the future. Culminating with a Rally on the Parade Ground in front of CHELSEA space. Talk: Scooter style and the eternal call to be cool.